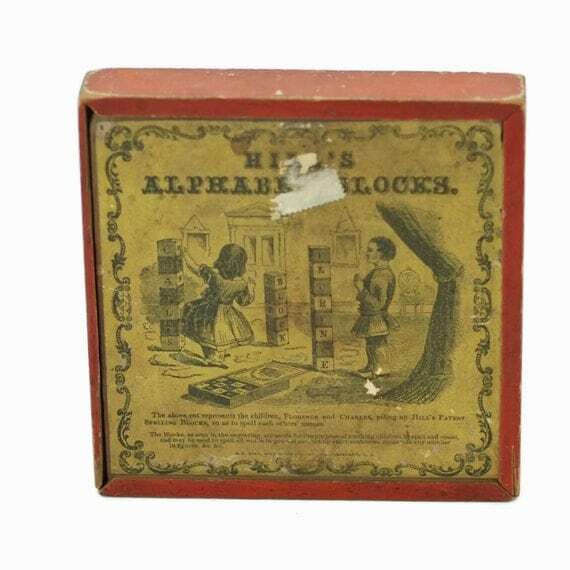 Vintage wooden children's blocks are a great addition to any antique toy collection, or just a nice item to have around the house as a pleasant memory of the good ole days of childhood. 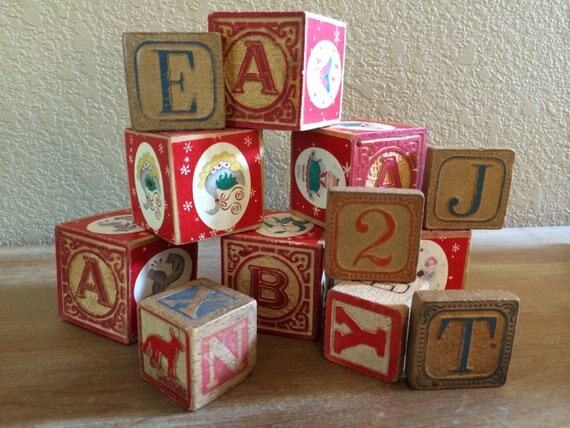 These vintage wood blocks often featured colorful letters of the alphabet painted on them, or colorful numbers. 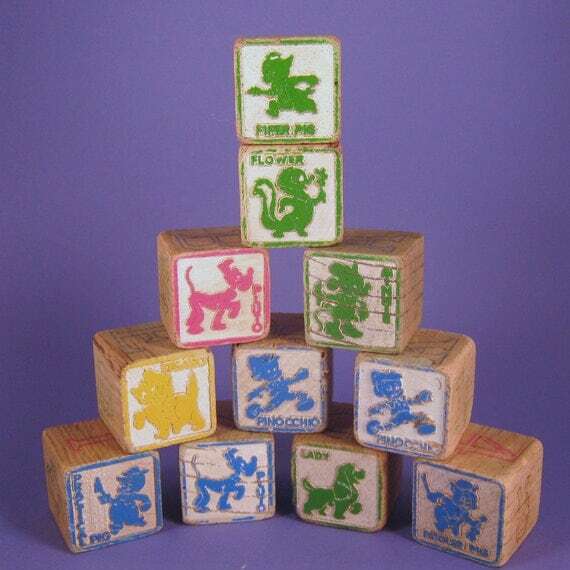 These blocks were essential for any child's toy collection back in the days before computers and video games. 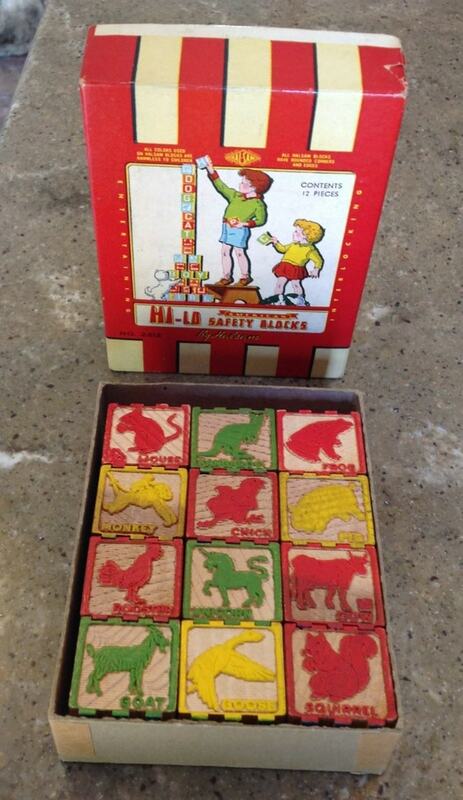 Antique blocks were a great way to develop early childhood skills necessary for reading and spelling later in life. 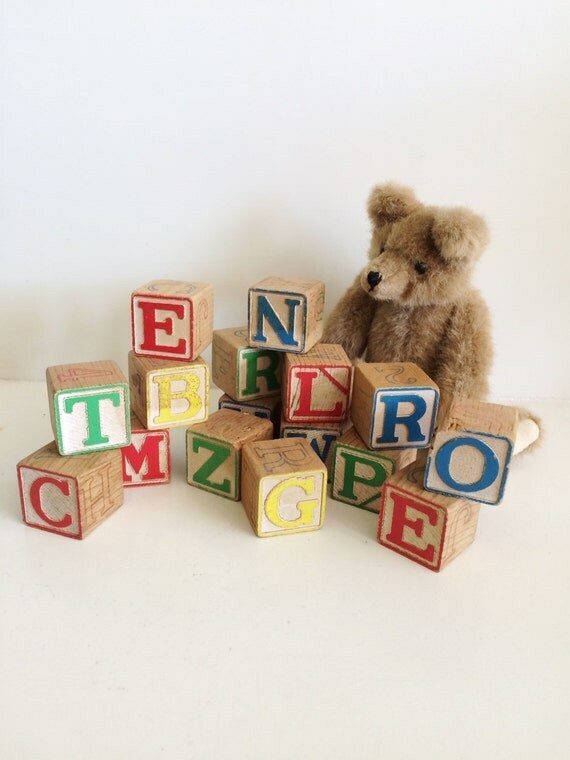 Some cute antique wood blocks that vintage toy collectors may be interested in include those from the 1940's that not only have the typical letter and number on them, but also have a couple of pictures of childhood objects, with one special side featuring popular Disney characters. 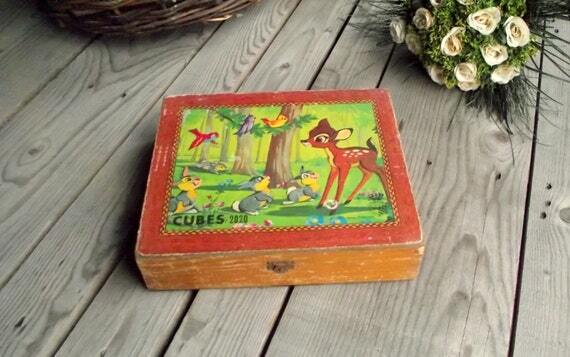 Some examples include wooden blocks with Bambi and Donald Duck on them. The Disney side is painted in brighter, bolder colors than all other sides of the block, and the figure of the character as well as the character name are raised slightly above the surface of the block. 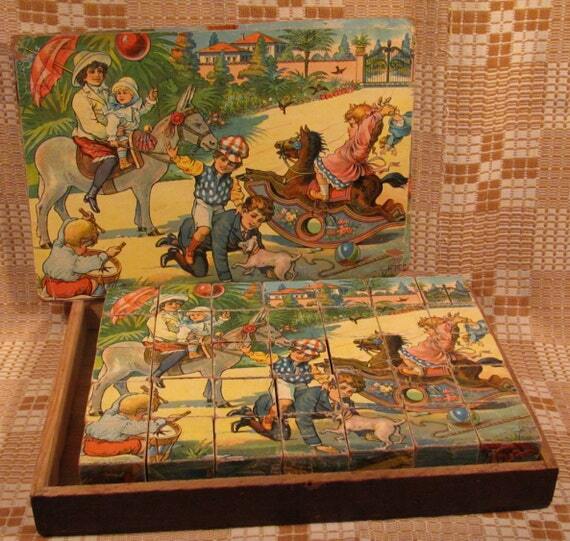 Sites such as Ebay are good places to find vintage wooden blocks as well as other antique toys. In the vintage section on Etsy, there are also some great finds, even vintage wood blocks from France that have French sayings on them. 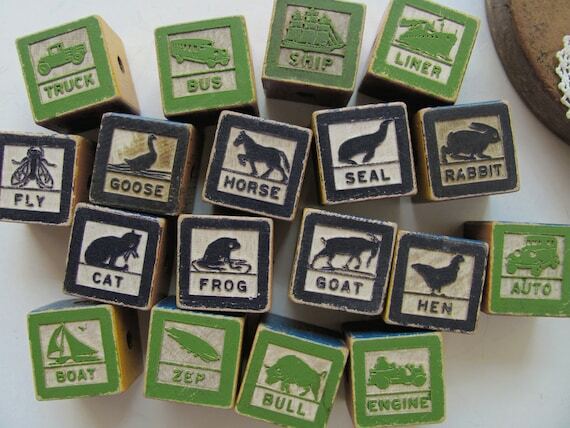 These blocks can be placed together in various ways to tell stories. 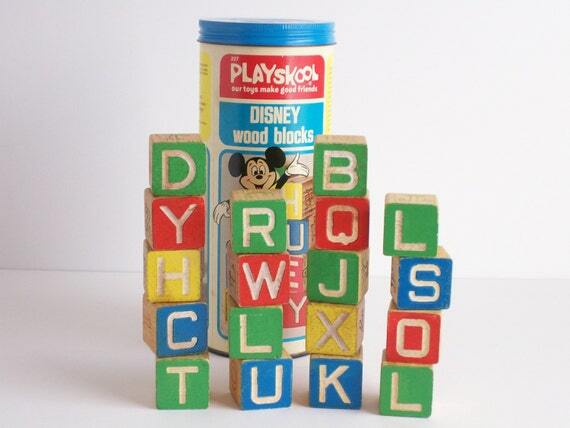 One of the more common types of vintage wood blocks that will come to the minds of many people are the classic Playskool blocks with the alphabet blocks and wooden shapes. Many of these vintage sets come in large canisters or are included with a little wooden cart that holds the blocks and can be pulled along by a child. These classic children's toys are a little piece of history that reminds many people of a simpler time. They are not only fun to collect, they still make great children's toys, provided they are in good condition. 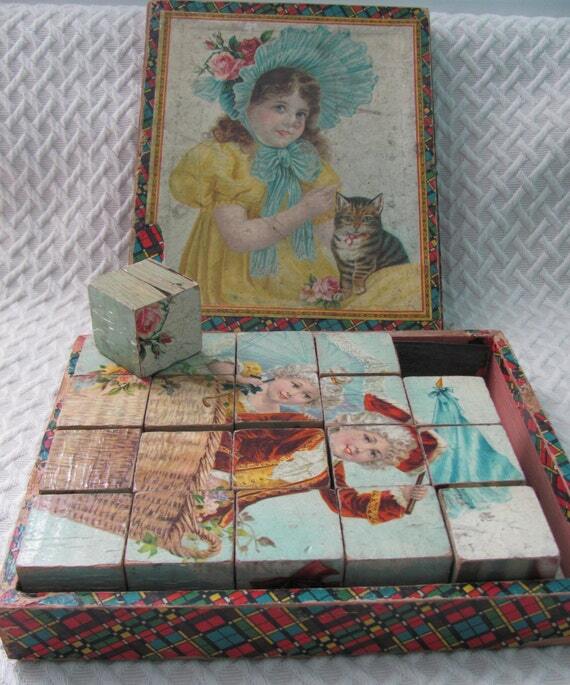 Another interesting use for antique wooden blocks is for use in decorating a child's room. 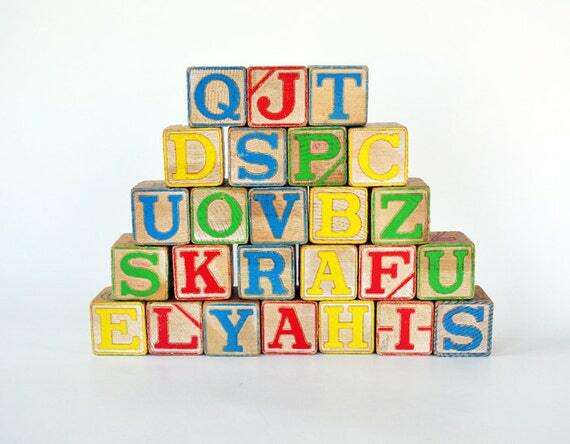 They can be displayed on a decorative shelf to spell out certain words, or perhaps the child's name. Some examples of displays might be "Baby's Room", " Suzie", or " I Love Mom". These fun phrases or names add personalization to the child's room as well as a touch of good old fashioned childhood charm. Perhaps display the blocks along with an antique teddy bear or other vintage toys, for a truly classic display of antique American toys. 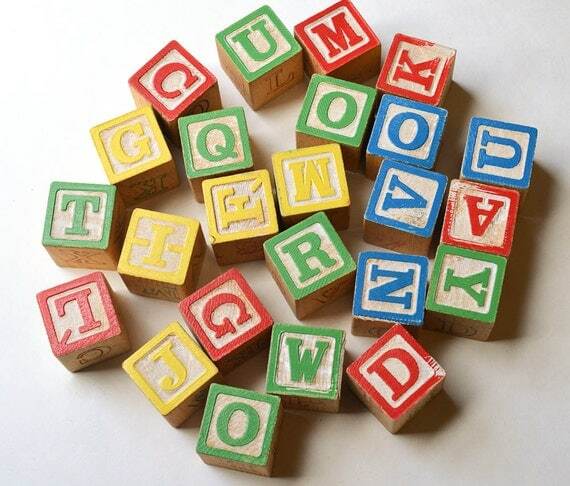 Blocks are also a good way to teach your child about letters and how to spell different words, as well as how to recognize colors, as they are typically painted in the different primary colors of green, red, blue, and yellow. Many sets also include numbers, so they can be used to teach number recognition or simple math problems. Blocks are also a great way for youngsters to work on developing important hand eye coordination as they play with and stack the blocks. This classic childhood toy still has a lot to offer in educational value as well as being collectible memorabilia.